Have you difficulty getting mains power to your new or existing bus shelter? Can you generate more recurring revenue if your bus shelter is illuminated? 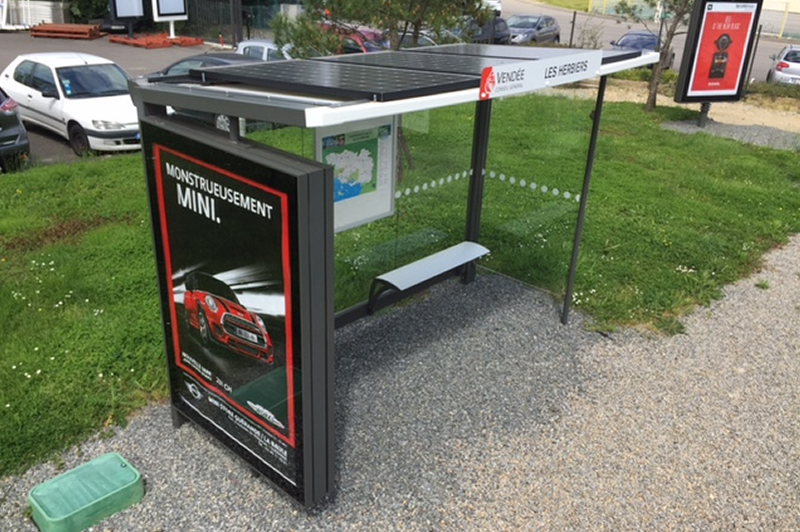 Autonomous, self-regulating solar powered LED lighting system for bus shelter advertising display and canopy light. Integrated mobile communications provide for remote monitoring, RTPI interface, system diagnostics, damage sensor alarms, digital timetables plus customer counting and USB charging stations. Displays that are visible at night command higher advertising rates. Renewable energy source with zero carbon emissions. Over 1,000 kgs of carbon saved annually compared to grid connected shelters.